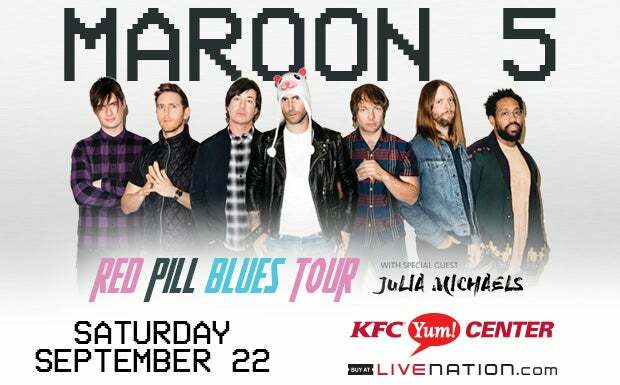 Three-time GRAMMY® Award-winning multiplatinum band Maroon 5 have announced the first details of their upcoming 2018 world tour produced by Live Nation, which is happening in conjunction with the release of their highly anticipated new studio album, Red Pill Blues. The tour will stop at KFC Yum! 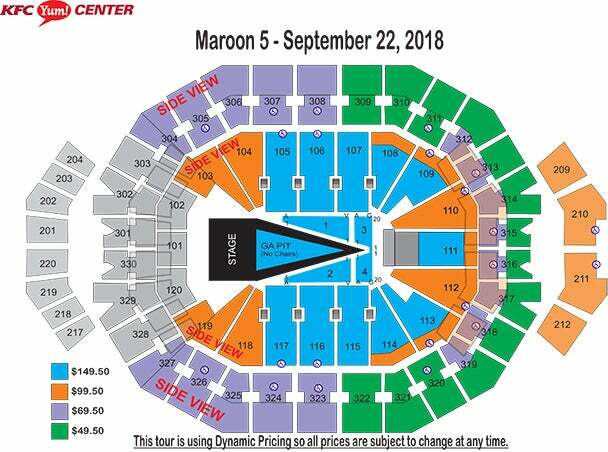 Center on Saturday, September 22. Maroon 5’s 6th studio album, Red Pill Blues features special guest appearances by SZA, Julia Michaels, A$AP Rocky and LunchMoney Lewis, the album includes both a 10-track standard edition, as well as deluxe version.